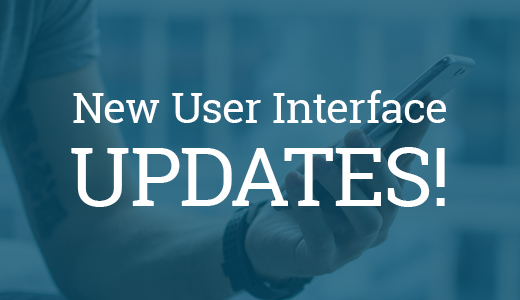 This part2 of the article User Interface updates to watch out for 2018 will cover another five trends associated with the UI trends of the website. These design trends will help a professional website designer to make their websie in market standards and latest trends. Over the next years, video contents will rule which is very clear from the strategies derived from the Facebook. The strategy is that by 2020 80% of users mobile data is contributed to the video content. Now it is the perfect time to get ahead of the competition with video contents. Moreover, through the video you can tell a large prescription about the brand promotion in a more easy and understanding way through a curate, visual, precise video contents. You will have to spend time in brainstorming the new ideas within the team and get your large portion of the information in a crispy way. While curating the content, you must make the first three seconds of the video to be in an eye-catching & grabbing user attention way. Owing to that you must strive harder to create the video in a unique and highly professional in such a way that it should stand out among the competitors. In order to increase the user conversion rate of the website and make your user to get interested towards your website, you must keen on implementing things that are most simple. With a perception to outlet your website more innovative and colorful to the visitors, you must avoid creating chaos. Only simplicity of the website can get your visitor stay for a long time with it and moreover they are fascinated to perceive your website. The point where your user feel the content is complex understanding, then they might abandon. A simple website, cuts down the time it takes to start generating conversions as you also minimizing the amount of steps. Your website should reflect in such a manner to complete the action that is intended on taking when they come and leave from the website. Finally, when a user coming to the website must complete the full process you want them to perform and then revisit it again. So, a proper and consistent simple website will eliminate any complex actions that may be experienced by the user. Ever since the Google introduced voice interfaces, businesses have started to use the voice suite to avoid manual typing by the user. The use of the voice assistants has already attracted most of the audience across the globe. With voice assistant, users can 24/7 get their queries resolved and help th businesses to provide on the go assistant to the users all 24/7. Again same as the voice assistant feature the chat feature also help business to convert their visitor into loyal customers. Keeping a chat interface on the website will tempt your user to make an immediate enquiry in case if they are most probably interested in the product. Business has got the best chance to convert the mere user of the website into a potential customer. Ecphasis Infotech is the professional IT and Development company in Chennai having a decade year of experience in the Industry. The niche specialization includes the Website Development, E-commerce Website Development, iOS Mobile Application Development and Android Mobile Application Development. We have a expert knowledge and experienced professionals to work on the customer requirement and accomplish their specification within the stipulated time. The outcome will be of the Industries best standards. Want to make your business presence on Online? Need a powerful Websites for your business with fantastic UI and UX?